Even though there is still nice weather remaining to enjoy Myrtle Beach golf this year, the fall golf season is winding down. The leaves have begun to fall, temperatures are gradually cooling down and the days are getting shorter. All of this means that it is time to begin planning your spring Myrtle Beach golf package. 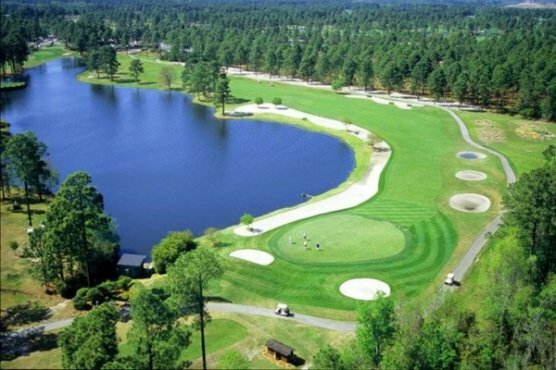 Golf buddies have been enjoying Myrtle Beach golf packages and all that Myrtle Beach and North Myrtle Beach have to offer, for many years. Whether you are returning to Myrtle Beach for your 45th straight year on a golf package as one group from Pennsylvania recently did or wanting to start your own annual tradition of Myrtle Beach golf trips, now is the time to plan your spring golf fling. There are so many reasons to visit Myrtle Beach for your golf buddies trip. Here are just a few. GREAT GOLF – Myrtle Beach is known as the Golf Capital of the World. With nearly 100 golf courses to choose from the variety is endless. Golf Digest has given 50 Myrtle Beach golf courses 4-star ratings and 12 have been listed among America’s Top 100 courses you can play. VALUE – Everyone wants a bigger bang for their buck. Myrtle Beach offers the very best value available. With so many courses to choose from, you can mix and match any combination of courses tom fit your group’s budget. There is package for everyone. ENTERTAINMENT – There are few golf destinations that offer the wide variety of world class entertainment that Myrtle Beach does. There are so many Myrtle Beach restaurants to select from that it is sometimes difficult to make a choice. If music and shows are what you are looking for there is a wide variety of top notch venues to choose from. Just to name a few there is Alabama Theatre, Carolina Opry, Palace Theatre, Comedy Cabana, Legends in Concert and many more. Don’t’ forget to check out the world famous Ocean Drive section in North Myrtle Beach. Home to Carolina Beach Music and the Shag. There are many clubs along Main Street in North Myrtle Beach to enjoy such as Duck’s, Fat Harold’s Beach Club and O.D. Arcade and Lounge. The list of things to do on your Myrtle Beach golf package is endless. SHOPPING – Myrtle Beach offers a huge selection of shopping venues, but you will certainly want to check out the many Myrtle Beach golf stores. The PGA Tour Superstores and GolfSmith each have a location in Myrtle Beach and North Myrtle Beach while Golf Dimensions has one in Myrtle Beach. All of these fantastic stores offer everything a golfer might be looking for, from the latest in golf technology, clothing and accessories. GOLF INSTRUCTION – Myrtle Beach is host to a number of world class golf instruction facilities. Too many to list but here are a few: the new South Carolina Golf Center that is headed up by Hugh Royer III a former PGA Tour player and renowned golf instructor and Mike Passmore’s Simply Great Golf Academy that features Mike Passmore who was named the 2006 Top 6 PGA Teacher of the Year. Whether you are a beginner or just looking to fine tune your game, Myrtle Beach has the golf instruction that can help you. CUSTOMIZED PACKAGING – Myrtle Beach Golf Authority can customize a golf package to suit the needs for any size golf group. Cathy Ziegler, Golf Director, and her assistant Karen Gilmond are both avid golfers and have played most of the Myrtle Beach golf courses. That knowledge is invaluable for visiting golfers. With so many courses to choose from, they can make sure that each golf package matches your group up with the courses that you are sure to enjoy. THE BEACH – After you have been cooped up all winter long and spring has arrived in Myrtle Beach you will most certainly want to take advantage of one of the top beach destinations in the world. Myrtle Beach and North Myrtle Beach border the beautiful Atlantic Ocean and offer some of the widest, sandy beaches one can find. Won’t it be great to just sit in the sun with your toes in the sand after a great day on the links. EASY TO GET TO – Another reason Myrtle Beach is such a great golf destination is that is so easy to travel to. It is within a day drive of every major city along the eastern seaboard. If it is air travel that you choose, it offers non-stop flights from New York, Boston, Chicago, Dallas, Toronto, Fort Lauderdale, Washington D.C., Atlantic City, Pittsburgh and many other locations. Getting here is so easy that it will give you more time to spend on our great Myrtle Beach golf courses. So call your buddies and start planning your spring Myrtle Beach golf package. Myrtle Beach Golf Authority will make it simple for you. Just go to WWW.MYRTLE-BEACHGOLF.COM or call Cathy Ziegler or Karen Gilmond at 888-272-7263. We are looking forward to serving you.